Mmmmm. Non-dairy deliciousness from Arctic Zero. Almost everyone loves ice cream. It’s the perfect treat on a hot summer day, and it pairs perfectly with other delicious desserts like cookies, brownies, and apple pie. Even though it’s October here in Florida, it’s still hot outside, so when Arctic Zero contacted us to see if we wanted to try their non-dairy desserts, we happily said yes. If you’re lactose intolerant, finding a cool and creamy ice cream that also tastes good is difficult. Smooth and delicious, Arctic Zero now has 9 non-dairy frozen desserts that almost makes you forget that it’s dairy free. As a bonus, they’re also low in calories. Calories range from 160-320 a pint. The flavors are not boring either! My favorite was the Cherry Chocolate Chunk and my 11 year old was a fan of Hint of Mint. I probably would have liked Hint of Mint too, but unfortunately, my son ate it all. At least I don’t have to worry that he ate too many calories! Not lactose intolerant? They also have 7 flavors of light ice cream that are only 280 to 360 calories per pint. Wait, there’s more! Arctic Zero has 4 non-dairy bars that are only 90 calories. 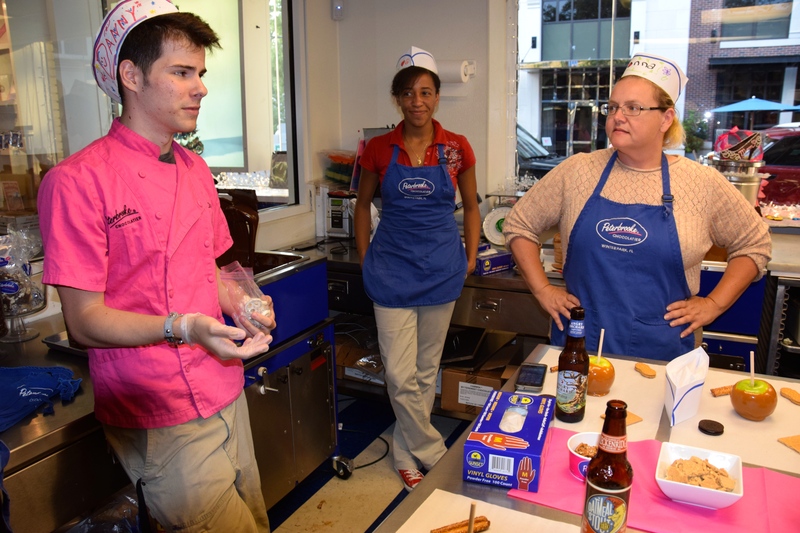 All of Arctic Zero’s treats are made with real ingredients. 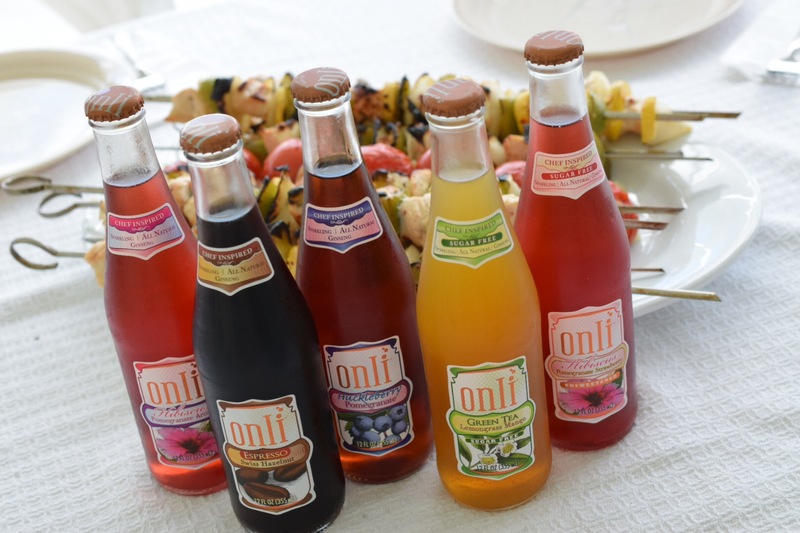 No artificial colors or flavors to be found here. The only downside to Arctic Zero? You have to wait a few minutes after you take it out of the freezer before you can eat it. 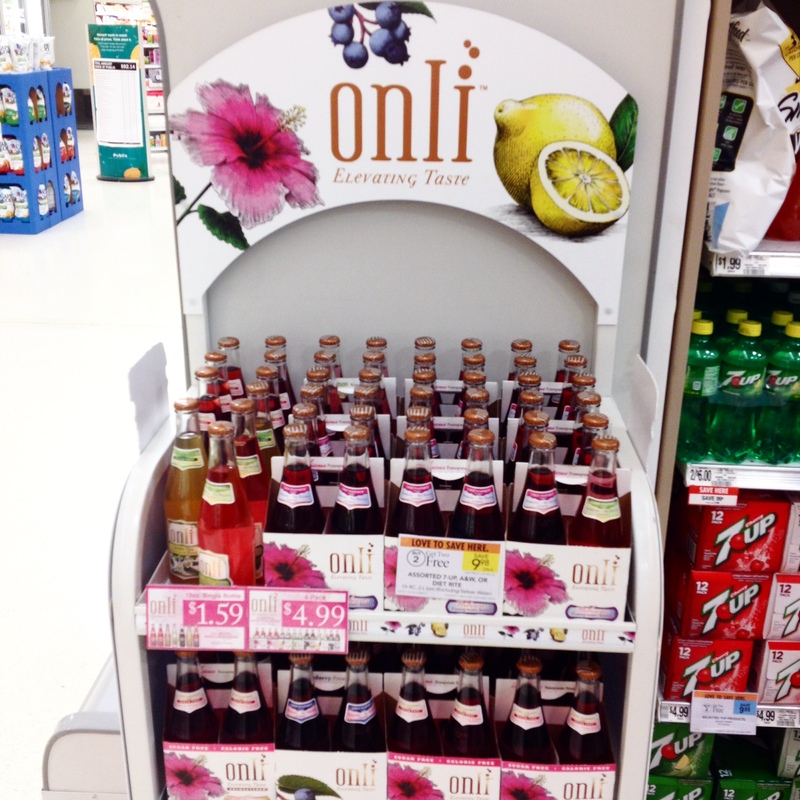 The best part is that you can get it right now at Publix! So, what are you waiting for? Head on over to Publix and grab yourself a pint to try then let us know what you think. Non-dairy treats come in 9 flavors: chocolate peanut butter, salted caramel, cookie shake, purely chocolate, cake batter, brownie blast, cookie dough chunk, hint of mint, and cherry chocolate chunk. Their light ice cream comes in 7 flavors: chocolate chunk, cookie and brownie dough, toffee crunch, vanilla bean, cookies & cream, peanut butter & chocolate cookies, and mint & chocolate cookies. 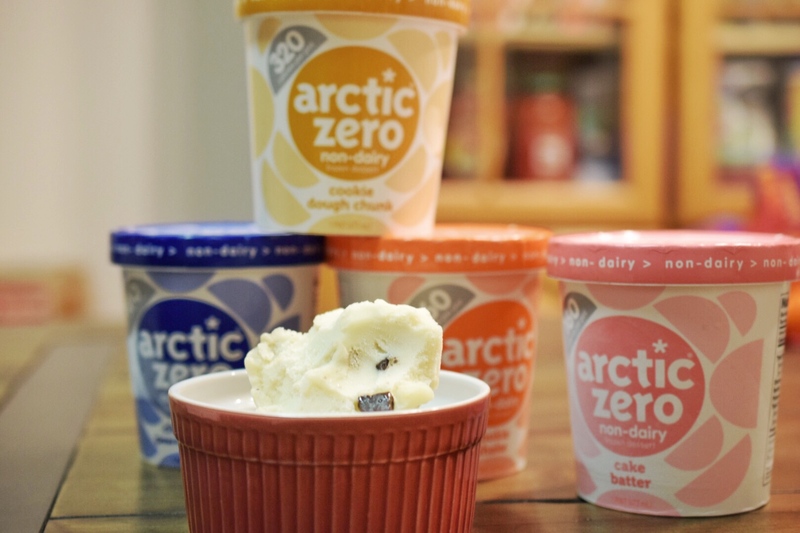 Arctic Zero’s non-dairy bars come in 4 flavors: cake batter, salted caramel, peanut butter vanilla, and vanilla. I love tomatoes. They’re good no matter how you have them. When Tuttorosso Tomatoes contacted me asking if I wanted to try some of their tomatoes for their Inspiralize the Spring promotion, I was ecstatic. Tomatoes are versatile and add great flavor to almost any dish. My tomatoes arrived with five tantalizing recipes: Al Fresco Zucchini Pasta Salad, Spiralized Turnip Mushroom and Tomato Risotto, Pasta Arrabiatta with Carrot Noodles, Tuscan Sausage and Kale Ragu with Butternut Squash Fettuccini, and Parsnip Spaghetti All’Amatriciana. Each recipe replaces the starch (rice or noodles), with vegetables. 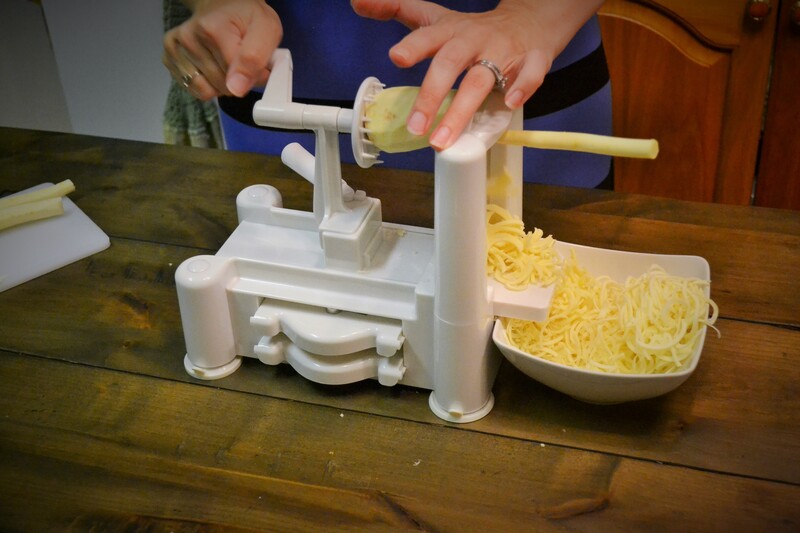 You use a vegetable “spiralizer” to turn veggies into your rice or noodle. Not only does this change up dishes you may be used to, but it also makes the dish healthier. 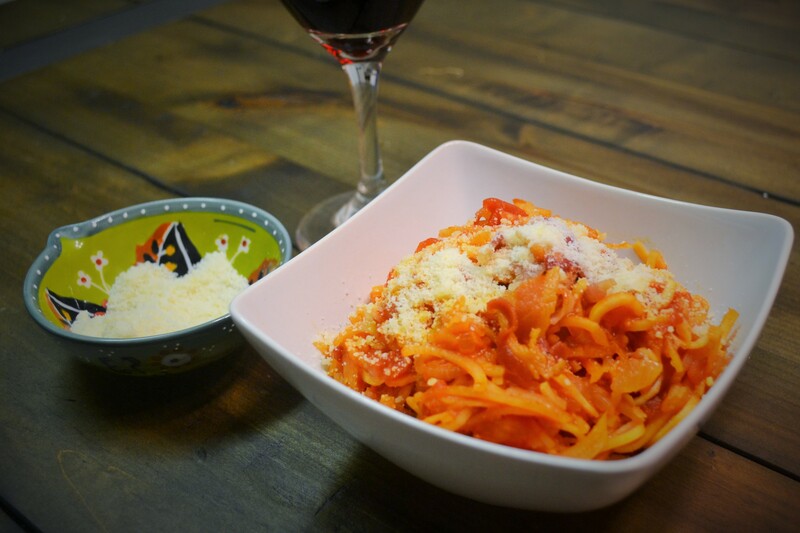 We made the Parsnip Spaghetti All’Amatriciana which only has 263 calories per serving! If I indulge and have a little extra, I won’t be going overboard on the calories. Just a few, simple ingredients made a flavorful, unique dish. We’ve never had parsnips in our house before, but I think we’ll be adding them to our repertoire. Spiralizing the parsnips was more fun than I thought it would be. It’s also something you could allow your child to do so they can have fun helping out in the kitchen. I borrowed my spiralizer from a friend, but you can easily find one on Amazon. They’re not expensive. 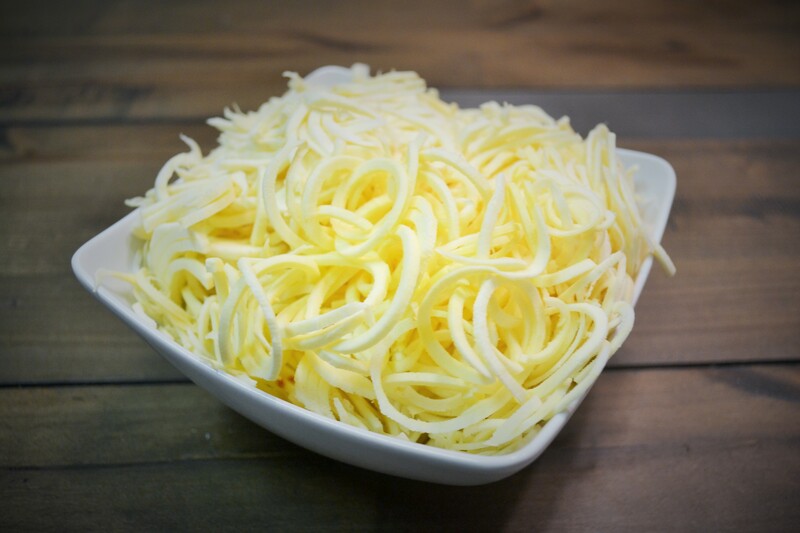 These spiralized parsnips are lovely. The final dish was lovely. The tomatoes were undoubtedly the star of this dish. They were rich, flavorful, and pulled everything together beautifully. 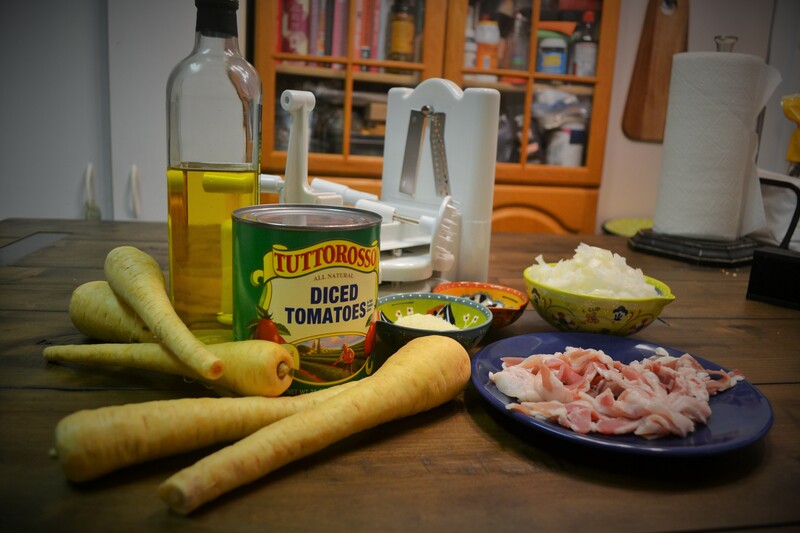 I have a can of crushed tomatoes with basil, and peeled plum tomatoes left and I can’t wait to try the other recipes Tuttorosso sent me. Head on over to Tuttorosso’s site to get all of the recipes I mentioned and more. 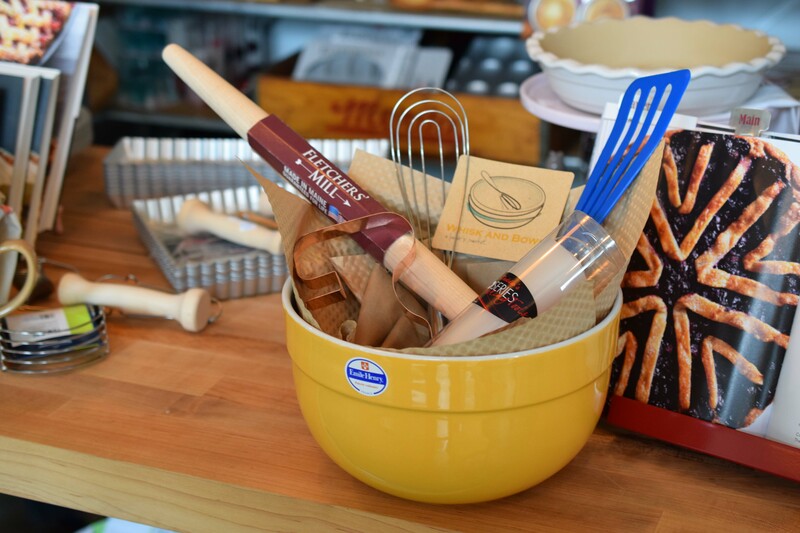 I am sad to announce the moving of Whisk and Bowl, my favorite place to shop for baking essentials in Central Florida. They’re not just moving to a new location: they’re moving to a new state! From now until everything is gone, the store, located at East End Market, is offering 25% off regular merchandise and 40% off holiday merchanside. Once the owner Karen and her family have settled in North Carolina, the online shop will be back up and running. 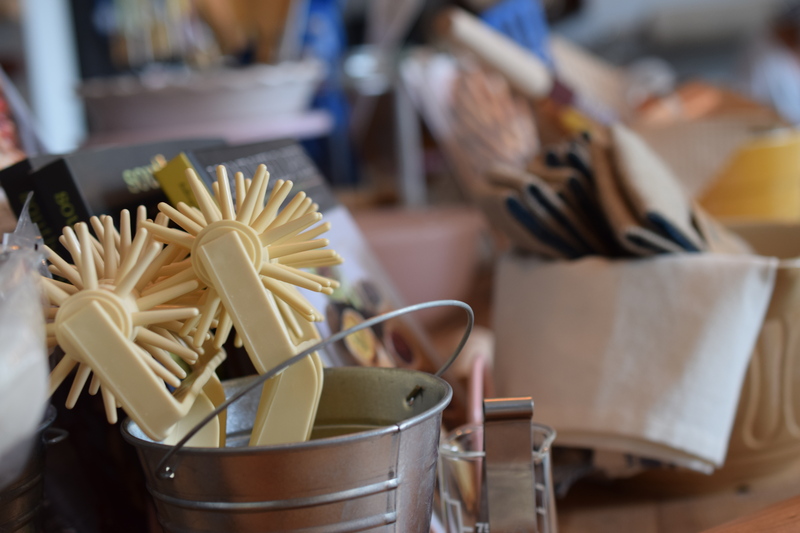 I am looking forward to that day because I do not know where else I am going to find such wonderful, handcrafted baking tools. While I am sad to see them go, I want to wish Karen Manfredi and her family safe travels and best wishes. We will miss you. As long as there has been baking, there have been cookies. No, really. I looked it up. Of course, they’re not the cookies we know and love today. Cookies were more like wafers, and were baked because they were easy to travel with. In the 7th century, when the use of sugar became common in Persia, cookies somewhat similar to ours started to appear. From there, the cookie spread throughout Europe due to the Muslim conquest of Spain. By the 14th century all of Europe had hopped on the cookie wagon, though they wouldn’t resemble the cookies we know today until the 18th century. Why all the cookie trivia? I’m glad you asked. 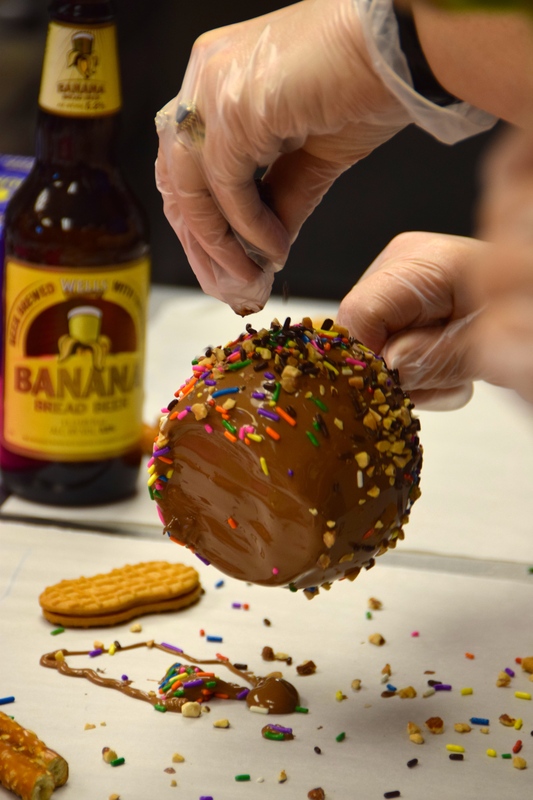 The Yum Yum Cupcake Truck – Orlando’s favorite cupcake food truck, & Whisk and Bowl – the place to shop for the best quality baking tools, teamed up to make one delicious cookie. We were there to document it all. Take a peak of what happens when two titans of the kitchen come together. 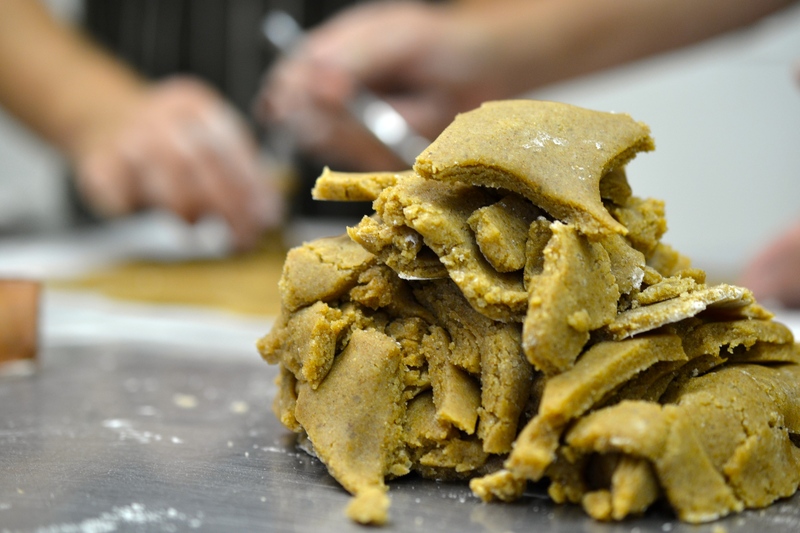 If you’re interested in watching them bake the cookies from start to finish, follow this link to our YouTube video. They go through the process step by step and give some great tips, too. The recipe will follow in a few days. The Yum Yum Cupcake Truck will be featuring those mouthwatering cookies at the Windermere Food Truck Bazar on July 25th. Karen from Whisk and Bowl will be joining the Yum Yum guys on the truck too. 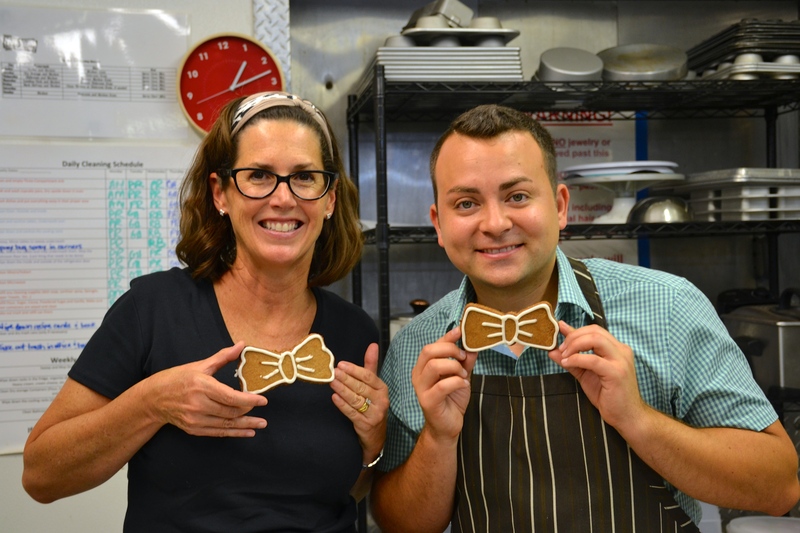 Karen Manfredi of Whisk & Bowl & Alex Marin from The Yum Yum Cupcake Truck show off their cookies! But wait! There’s more! We want to give you things! Baking things. Well, not give you. You have to win them. Enter yourself for a chance to win an amazing prize pack (worth over $200) from Yum Yum Truck & Whisk and Bowl. Alas, I am not eligible to win, but YOU are. So get those entries in and good luck! A quick tweet is required for the first entry (which can be done daily). Earn bonus entries with various likes and follows. One of the hardest things for me to write about are things that I enjoy. I’m always afraid that I won’t be able to translate that joy into words. 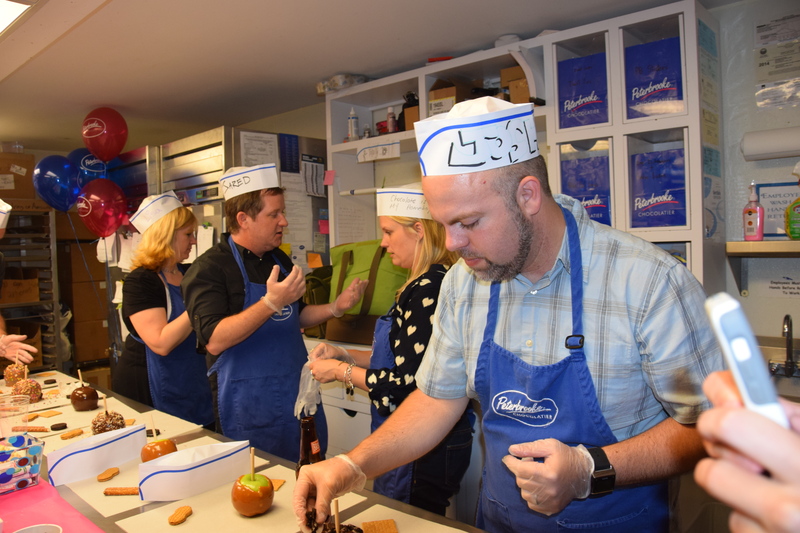 Recently, I had my 33rd birthday party at Peterbrooke Chocolatier of Winter Park. Yes, I had a chocolate birthday party. It was awesome. I’ve been trying so hard to adequately write about what a great time I had, that I’ve started and restarted this blog several times! Hopefully, I can express just how much fun my friends and I had that night and maybe you’ll want to have your birthday party there, too. Peterbrooke Chocolatier of Winter Park is owned and operated by the wonderful Jami and Kevin Wray, two of the nicest people you will ever meet. Their shop is located on idyllic Park Avenue, just down the road from Rollins College (Go Tars!). The night started off with the delicious smell of chocolate wafting onto Park Ave. You can almost taste the chocolate before even stepping foot in the door. When inside, your eyes jump back and forth between the wonderful displays. There were regular chocolates, chocolate covered dried fruit, chocolate pizza, chocolate shoes, and even chocolate covered potato chips! My friends and I window shopped while we waited for the night to begin. In the back of the store, which you can’t get to without passing the gelato (free tasting samples! ), is where the party was held. The room holds more than 15 people, but there were 13 of us and I believe it made it more comfortable as everyone had more room to move around. 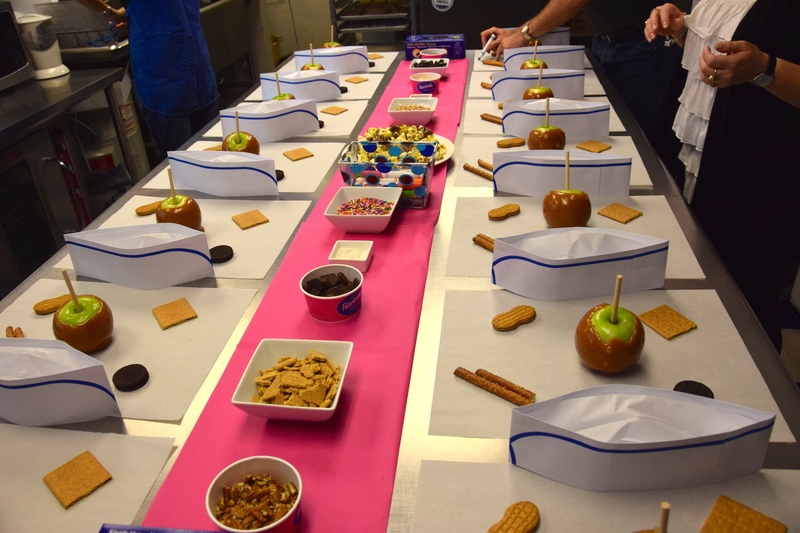 On a long table were squares of wax paper, each containing a caramel apple, an Oreo, a Nutter Butter, a graham cracker square, and pretzel rods. Running down the center of the table were edible decorations such as sea salt, sprinkles, chopped nuts, and chocolate covered popcorn. We each wore a Peterbrooke apron and a paper hat. Markers were provided for the decorating of the hats. 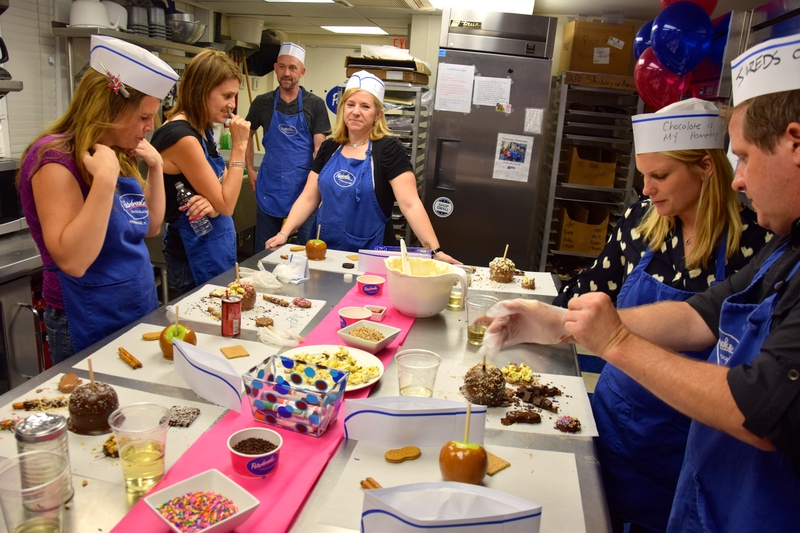 The party begins with a history lesson: a chocolate history lesson. Danny, one of our wonderful hosts, taught us about the cacao plant that chocolate beans come from, the Mayans and their use of the cacao beans, and how chocolate evolved into what we know and love today. At the end of the lesson was a pop quiz. Correct answers were rewarded with white chocolate covered pretzels. Peterbrooke has not one, but two chocolate “fountains:” one milk and one dark. These machines constantly churn the chocolate in order to keep it tempered and smooth so it does not seize up. Annie, our other wonderful host, showed us the proper way to dip our treats, gave us some rules, and let us loose. Some of us were more conservative with our decorations, while others went all out, piling everything on top of their treats. We had some delicious El Churro mini cupcakes from the The Yum Yum Cupcake Truck, and they let us dip those, too! The best part of the evening was something you can’t get at Peterbrooke, because the best part of my night was my friends. We drank (alcohol is allowed at the parties because Jami and Kevin rock), we laughed, we decorated, and we smiled all night long. My friends are all creative types. Celebrating with me were musicians, performers, teachers, planners, and lovers of life. 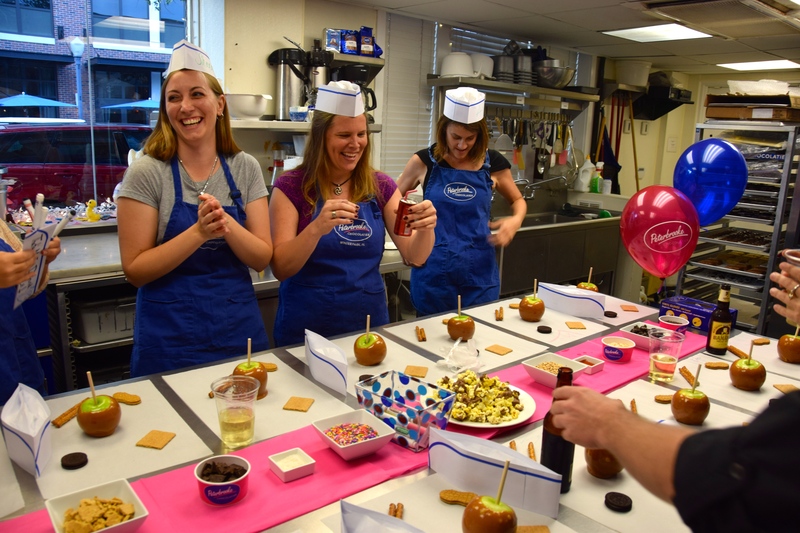 For an hour and a half we were able to forget our troubles and focus our creative energies into crafting some impressive looking and great tasting chocolate treats. The combination of chocolate and awesome people made my birthday party the best I’ve ever had. If this blog has whet your appetite for chocolate, head on down to Peterbrooke and grab yourself a dark chocolate sea salt bar, my personal favorite, or any one of their delicious treats. If you’re planning a party anytime soon, I cannot recommend Peterbrooke enough. 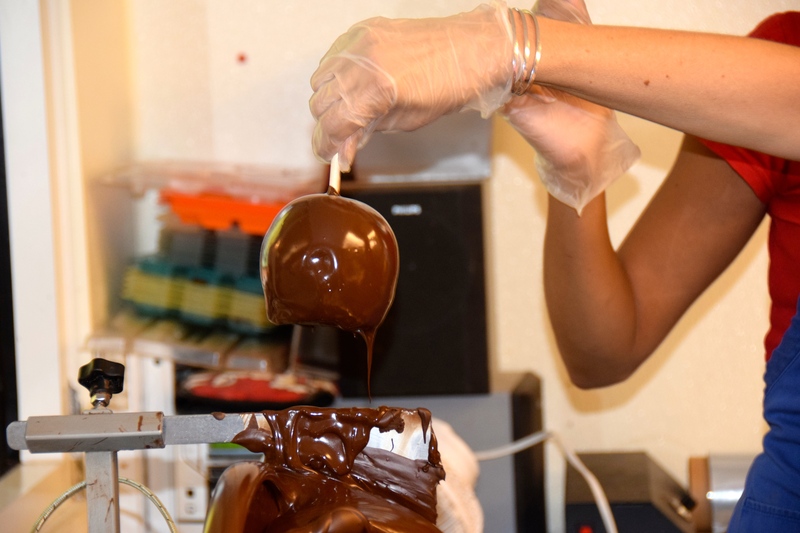 You can never go wrong with chocolate, especially when it comes from Peterbrooke Chocolatier. In order to become one of my favorite place to shop, a store has to have three things: quality, variety, and uniqueness. 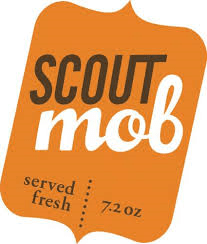 I honestly cannot remember when, or how, I found Scoutmob.com, but I am supremely glad I did. Scoutmob believes that “by surrounding ourselves with the authentic, the unique and the curious, our lives are more awesome.” I wholeheartedly agree. Scoutmob celebrates independent makers and their inspired goods by highlighting local artisans. The goods on Scoutmob range from clothing, to furniture, to food. Hand crafted, locally sourced, organic, beautiful food. Salts, cookies, oils, syrups, jams, candy, teas: you name it they probably have it. 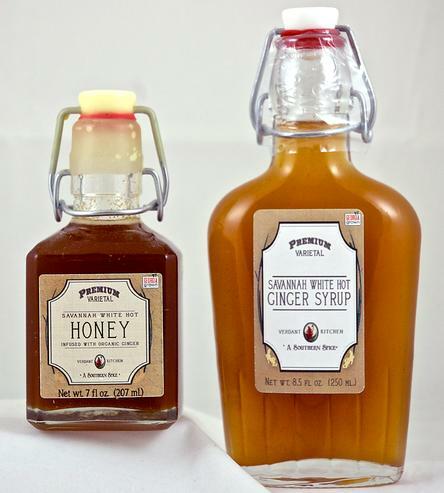 If you’re looking for gifts, or looking to try something new in the kitchen go check out scoutmob.com. Just don’t spend too much money. TOMS the philanthropic company known most for their buy one give one shoes has ventured into a new realm of giving. 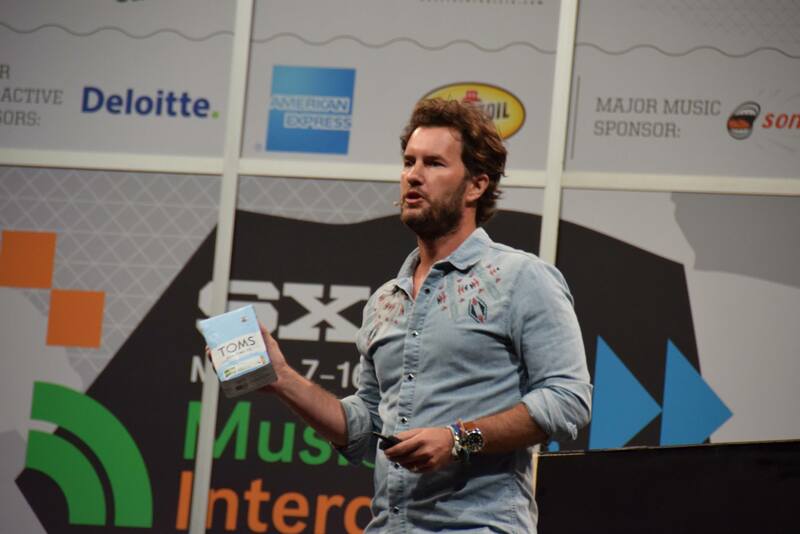 It was the latest announcement by Blake Mycoskie, the founder of TOMS, at SXSW Interactive in Austin, Texas (Yes, the founder of TOMS isn’t named Tom). Mycoskie talked about the social good mission of his company and had a big announcement for the crowd at the end of his talk. TOMS was diving into the world of coffee. It will sell TOMS coffee online and in Whole Foods to start but will also start opening TOMS Roasting Company location around the country with the first one in Austin, Texas. The following morning after the announcement, TOMS opened the first one in Austin in the area known as SoCo or South Congress. TOMS Founder Blake Mycoskie Announcing TOMS Roasting Co.
What will your purchase of coffee do for the world? TOMS will donate one days worth of water to someone in need in the areas where they get coffee beans from for each cup purchased and one weeks worth of water for each bag of coffee purchased. Water, especially clean water, is an important part of the coffee bean process and to keep people healthy. At the TOMS Roasting Company locations, it won’t just be about the coffee but other items sold by TOMS, including shoes, eye wear, and market place goods that all give back to various causes. These location will be a place for non-profits and other groups to meet and have conversations with a cup of social good coffee in hand. Are you do your part to help the world? Balsamic Vinegar & Ice Cream? You have to try this! Ladies and gentlemen, I have found my newest foodie obsession: balsamic vinegar and ice cream. 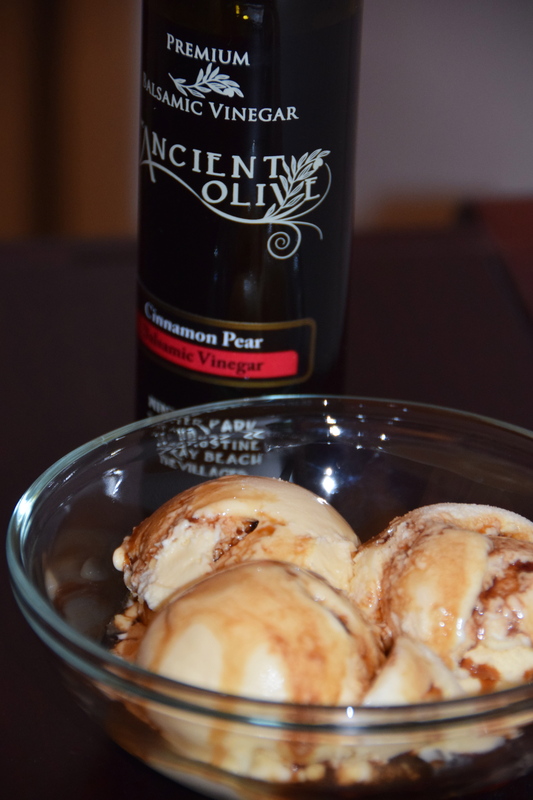 Specifically, cinnamon pear balsamic vinegar from The Ancient Olive and French vanilla ice cream. I am serious. This is one of the most delicious combinations I have had in a long time. Honestly, I don’t really like vanilla ice cream, but while visiting The Ancient Olive in Winter Park with Orlando Food Tours, Nick introduced us to the idea of olive oil and balsamic vinegar on ice cream. Using a combination of blood orange olive oil, dark chocolate balsamic vinegar, and a small scoop of ice cream, he hooked an entire group of people on this strange new idea. I dare you to give it a try. 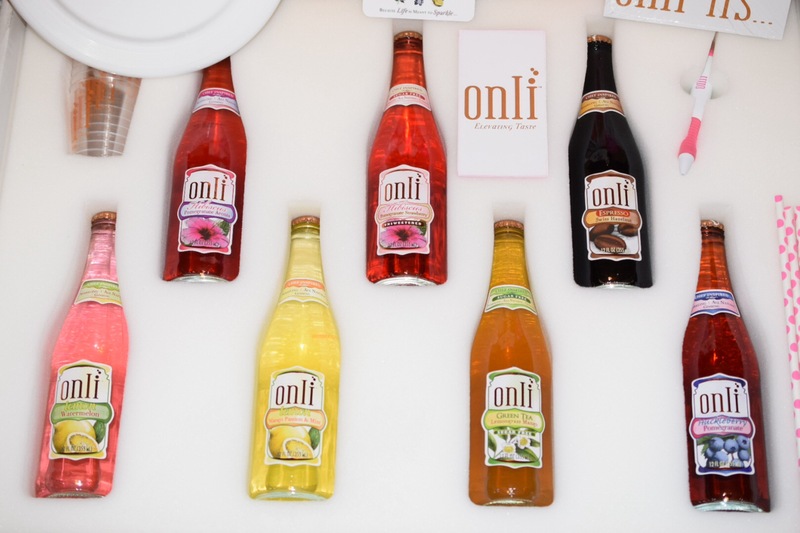 Find a flavor you would like and give it a try. If you’re not sure where to start, head to The Ancient Olive in Winter Park, and ask for Nick. He’ll know what you’re talking about. Tame Your Tea with the YouCopia Tea Stand! I love tea. Be it green, black, rooibus, white, herbal, or any other kind of tea, I like it. I’ll take it hot or cold. My love of tea comes with a problem: I have a lot of tea at home. It takes up a lot of space. Fortunately, I ran across this beauty the other day; YouCopia’s Tea Stand. It holds over 100 tea bags, and it’s slim design means it doesn’t take up a lot of space in the pantry. Now, I have a great place to store my tea, and I’ve created extra space in my pantry where it was desperately needed. Double win!